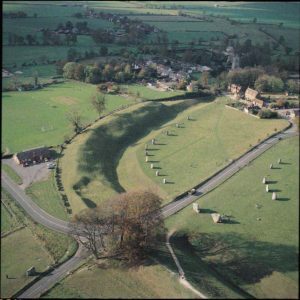 We are very happy to be invited back to join in the fun of Avebury Day again this year. We very much enjoyed the chance to celebrate with the village in 2014. It is a great opportunity to meet everyone and share information about our own World Heritage Site with those who help to look after it right at the heart of our internationally important landscape. This year is a special one for the World Heritage Site. It’s the 30th anniversary of our inscription on the World Heritage List. Stonehenge and Avebury was one of the first seven UK sites to be inscribed on the World Heritage List in 1986. The other six sites were St Kilda, Giant’s Causeway, The Castles and Town Walls of King Edward in Gwynedd, Durham Castle and Cathedral, Fountains Abbey and Studley Royal and the Ironbridge Gorge. You may like to do some research on the other 23 sites around the world which were inscribed at the same time. You’ll have the chance to test your knowledge at the World Heritage Site stand on Avebury Day. We are also celebrating this landmark 30th anniversary with a World Heritage Site Conference this November in Devizes. Tickets are available on Eventbrite and we are very happy provide further information on the day.